Let’s start this post with a brief statement. SEO (Search Engine Optimization) is not a black box or a secret sauce. It is about learning, doing, more learning and more doing. It is about experience and learning. Getting started with SEO takes about a day, but to master – years. I consider myself a student of SEO and will be for years to come. The digital landscape where we operate is ever changing and we have to adapt, re-think, re-do and re-measure the impact of our efforts. That is why I want to focus on how to measure the impact of SEO with Google Analytics with this post. The way I would look at it. In Google Analytics, Acquision > Overview is a good place start. You’ll see the different channels and how they perform against each other. 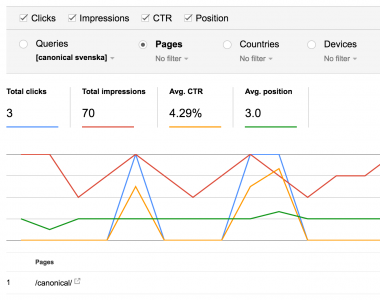 If you drill down in Organic Search you’re isolating that channel and ready to rumble. Switch over to Primary Dimension > Source and you see the different search engines that have sent visitors to your website. This is the first and crucial step as you need to understand where to focus your efforts. Sure, Google is the big player and on some markets maybe even the only player – but don’t assume this. Always get your facts before taking the next step. Bing is still alive and there are both regional search engines as well as ducks that you can go search with. In this example, big G is the big player. So you want to drill down into that specific search engine. Changing the Primary Dimension > Landing Page gives you the full list of pages that are sending you visitors. Oh, these lovely landing pages. Attention bounce rate fan boys and girls! Stop looking at averages and look at specific landing pages. Not all pages are built to attract visitors and make them use your website or visit more pages. FAQ sections are built to answer questions, so that the customer support center doesn’t have to, right? A perfect visitor would land on one of our FAQ pages, get their answer, scream “I love this website soo much” to their screen and leave. Question, answered. A bounce rate of 100% would be something to celebrate – right? Now you’re not looking at the bounce rate (I hope, hope, hope) but instead wondering what kind of keywords and phrases that made all these landing pages appear in the search engine. With the help of Google Search Console, we get the keywords back (somewhat) and we can do a proper analysis. Acqusition > Search Console > Landing Pages is that new report everybody and their mum talked about this spring. 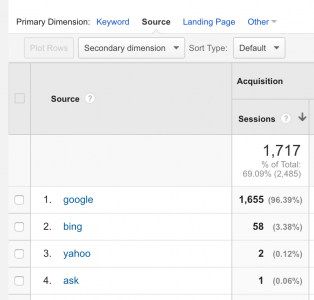 It is that old, but nice, Search Console data along side Google Analytics data – with conversions! 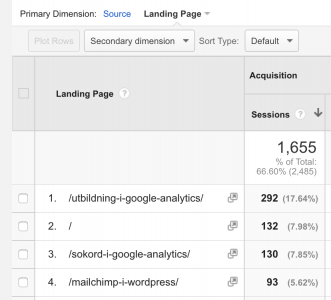 Though as you can see, conversions attributed to a specific page, not keywords. But still, this speeds up our analysis and understanding quite a bit. You have the yummy standard data to each page: impressions, clicks, CTR and average position, followed by Google Analytics data. But let’s pause a minute and talk about average positions. I despise average positions as it tells us nothing, really. Instead you want to look at a third party supplier that can give you proper ranking reports. I’m a SEMrush fan boy, but there are tons of different tools on the market. Big and small, expensive and cheap, integrated with tons of different services and stand alone suites. You need to find your favorite and start understanding your real positions in search engines. Because the SEO world is still about rankings. No visibility, no traffic, no visitors, nothing to measure, no outcomes, no business. When you drill down to a specific page you’ll get a report of the keywords and phrases that visitors (and non-visitors) used for that specific page. In conclusion, you know which keywords drive traffic to the page and which keywords that does not. If you want to look at this the other way around, you have to open up Google Search Console and the Search Analytics report. There you can look at search queries, use the filter function, choose the keyword you’re interested in and then see which page (or pages) that Google is showing to searchers. One key issue that you always have to bare in mind is the searchers intention. Not all search queries will be answered with a click to a page. There are local results when you and I search for products and services and a lot of questions will be answered directly in the search engine result – you might have heard of Google Answer Box? 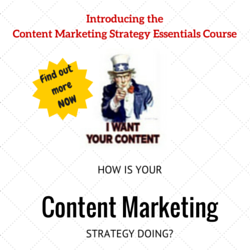 For some queries you need to formulate your content into a more questions and answers type of content. Because if a search result returns the answer box – you want it. You want to be the brand or the person to give that clear answer to people, hoping that they are so interested in the topic that they click on your page to learn even more. So who are you targeting and how should you target them? That’s a topic for a completely different post. This time you’ve learned how to understand what you’re getting out of the SEO work you’ve put in, what you’re missing out on and which pages could be optimized for certain topics and, saying it bluntly, which keywords you could be targeting. In Search Console you can also click on PAGES and then any specific page that is listed. Then click on Queries and you’ll see the query data for that page. It is better to look at this data for a single day at a time. When you aggregate the data across multiple dates you lose precision and on large traffic Websites both GA and GSC use more sampling as the data sizes increase. Great information, I will have to implement these ideas into my SEO schedule. The reason I have not payed more attention to this issue is one can easily get lost trying to understand all the info and figures they give. 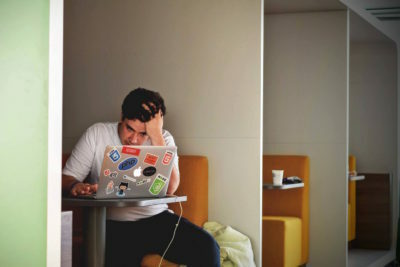 Then I have to figure out how to use the information in order to benefit my website. Anyway, I thank you for sharing your insights in this post.